The core idea our organization is based around is that of the Riverkeeper. The Riverkeeper is a citizen advocate who monitors the river, responds to citizen complaints, conducts research, educates the public and performs many other tasks necessary to improve the Coosa River. Getting out on the water lets us see and analyze issues first hand and make informed statements and decisions. 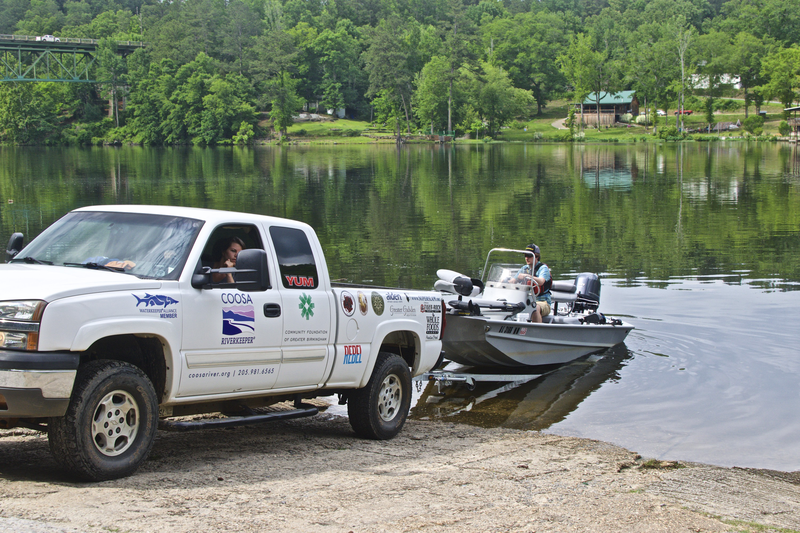 Though we do employ a staff Riverkeeper to act as the spokesperson for the river and lead these efforts, the work of Coosa Riverkeeper is carried out by dozens of people who are supported by hundreds more. That’s why we depend on our members who fish, boat or live on the river to keep their eyes open and spread the word about our work! Below is an interactive map of all permitted polluters in the Middle and Lower Coosa Basins. Zoom in and scroll around your neighborhood to see what’s happening near you. You can learn more about pollution in your community and view reports from specific facilities at EPA ECHO. Swim Guide and Fish Guide are two programs based on the fundamentals of the Riverkeeper beliefs in right-to-know, advocacy and education. Most of the work performed under the Riverkeeper Program is related to protection or restoration. That might be anything from working with partner groups to remove an abandoned dam to filing legal action against a polluter who is harming the river. To date, we’ve filed legal action on over 6,000 violations of the Clean Water Act. Depending on the season, we perform 5 to 10 on-the-water patrols per month.